CHAdeMO standard has been making fantastic progress across the world. 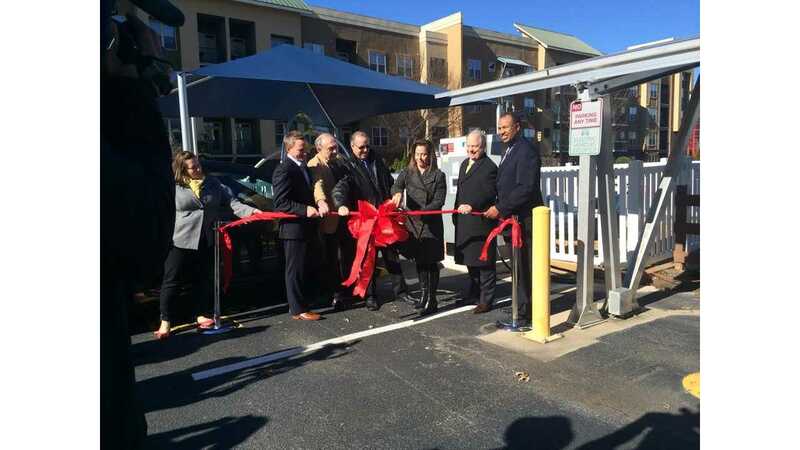 With 592 stations currently in the United States, it is by far the best success story in DC fast charging. But what do we have in reality? Is it really a useful and reliable concept for EV drivers to use? Let's take Metro Atlanta for Example. 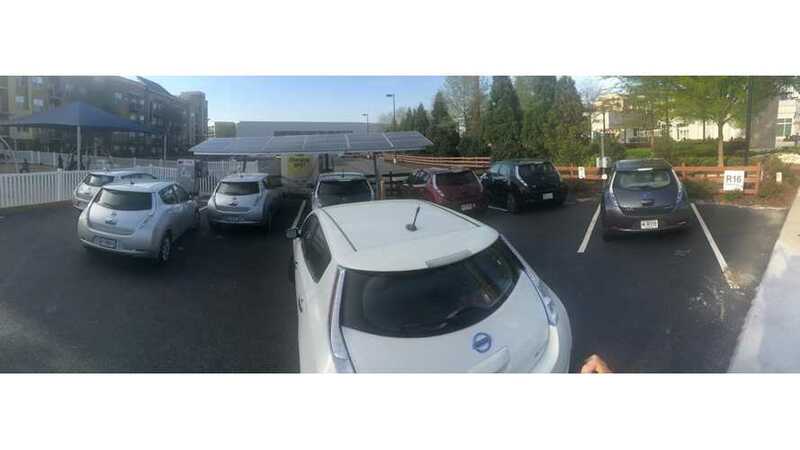 Since the 2013 Nissan LEAF began selling with record numbers, many dealers pushed S and SV trims with DC fast charging (SL comes standard), or let's just use Nissan's language DCQC (Direct Current Quick Charge(r)). But for the longest time this town did not see a single fast charger. There was a ton of discussions where the first one might go and local EV club posts about DCQCs would explode on Facebook with 200+ comments. Finally in September of 2013 the first DCQC charger began to deliver Direct Current. It was a big celebration with Nissan executives cutting the ribbon with media present. (The actual first DCQC was at a dealer in Roswell, GA, but it did not gain as much attention as this one). First DC Fast Charger Finally Arrives! So naturally, everyone was excited. All of the sudden the phrase "range anxiety" was no longer part of the EV lexicon. Personally owning a business that requires driving around town and meeting with clients/prospects, this was would mean freedom from any gas stations! And it worked for a few months, until more and more people began to realize the same logistical advantages as I have. Sure, at that point we had a few more chargers around town. But that is when the reality hit hard. All those LEAFs with DCQC option, found the chargers on PlugShare and Recargo. Fantastic right? Well, if you ever required a charge and there was 1 person in front of you, sure that is just fine. But if you now have 3 people waiting to juice up and you must pick up your daughter from school. I can tell you the whole "range anxiety" just turns into "I will not get there in time" anxiety. Look at this picture (below) This is a typical gathering at the most central location in Metro Atlanta at Atlantic Station. Why write this article? 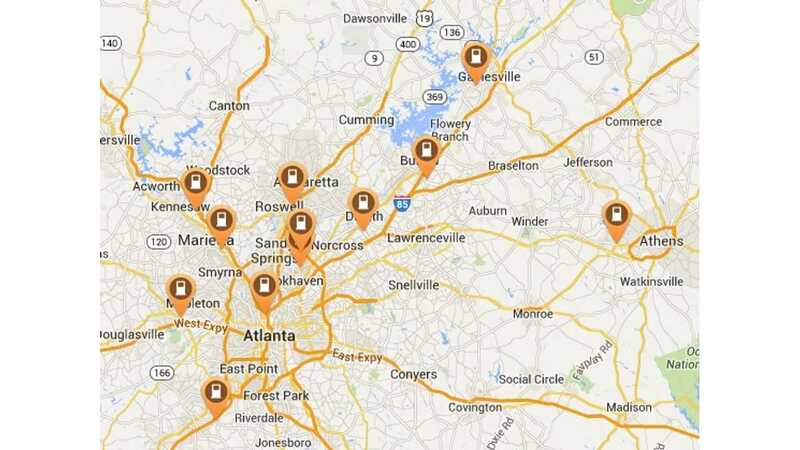 It is time to address why CHAdeMO is obsolete. It is not that it is a bad standard or does not work well. It is just that we only have ONE cable to share. 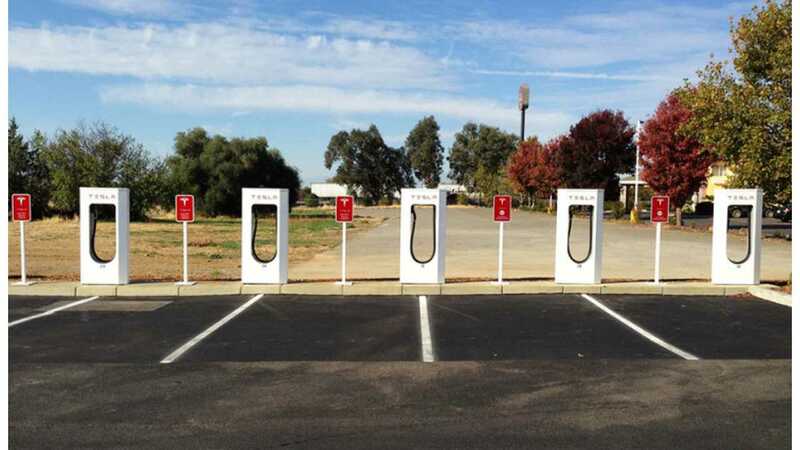 Take example Tesla's deployment strategy for Superchargers. Depending on the location there are between 4 and 8 stalls. What does it mean? Well at least there is capacity. And with 130 kWh standard vs. 50 kWh for CHAdeMO there is a lot more juice being delivered in a shorter period of time. And this will get even more challenging. 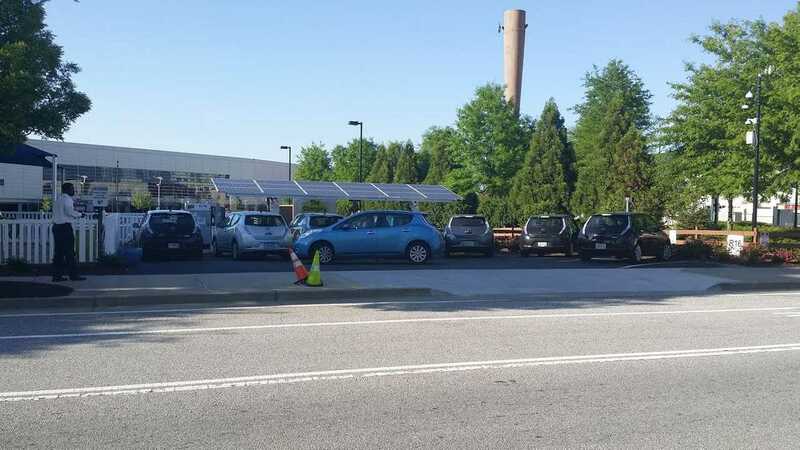 With KIA SOUL EV due out shortly with CHAdeMO standard and Tesla CHAdeMO adapter (it is on a rolling 6 months "coming soon" release), there is not going to be enough connections to accommodate the Metro Atlanta EV drivers. All the talk about "chicken before the egg" is now out of the window. 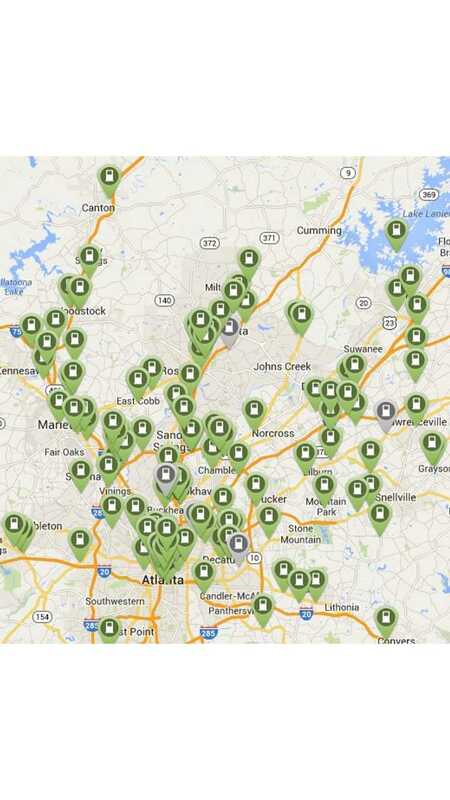 We have the cars, in fact the best guess on Nissan LEAFs in metro Atlanta is about 4,000, but now we need more chargers and more connectors and lots of them. Otherwise range anxiety will turn into "I cannot rely on DCQCs to plan my commute!"  What do you see around your community?